Our straps are made from recycled seat belt webbing. They are incredibly comfortable and great for the environment. This webbing is fashioned from polyester seat belt webbing and is low stretch. It also has a low absorption rate, a non-porous fiber and a high strength. 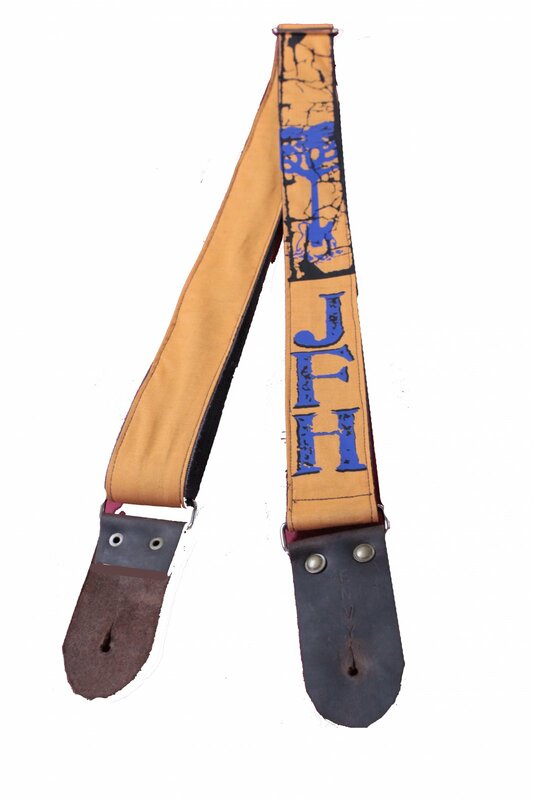 We then sew your choice of custom colors onto the belt, giving you a lot of options in creating your custom strap. Then choose your design colors, whether it’s your design or your idea that we help bring to life, our colorful and durable vinyl colors are yours to create with. And with our ultra-durable heat press vinyl, your design will last. The first color is included in the price of the strap. Any additional colors are $3.99 per color.